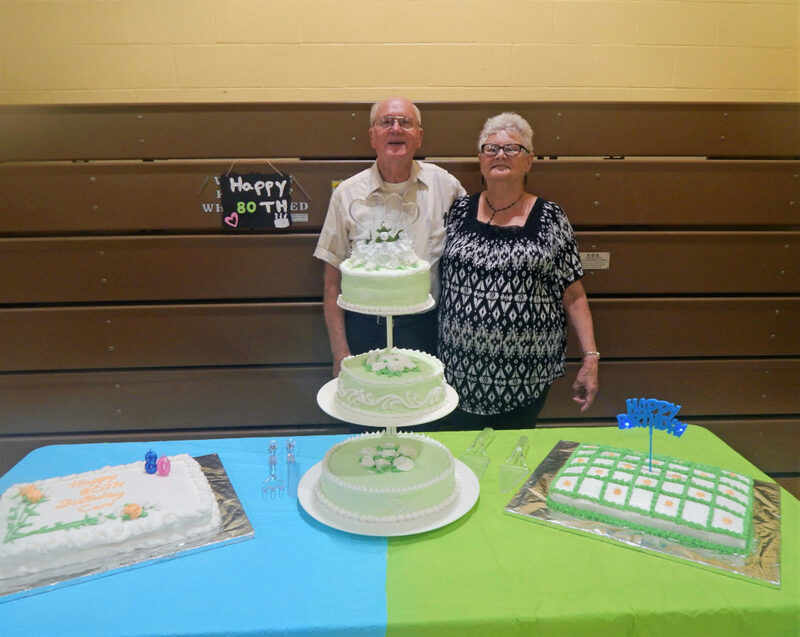 The children and grandchildren of Carl L. Berry and Donna (Renfro) Berry, of Tiffin, threw a surprise party to celebrate their parents’ 60-year wedding anniversary and their father’s upcoming 80th birthday at Seneca County Opportunity Center Saturday afternoon. Donna said, “You have to respect each other” in order for your marriage to last that long. Carl said, “You have to try to satisfy each other on everything. The key is to always try to make the other person happy.” Donna said they got married when she was 16 and Carl was 19 and they both added that she had very good parents who were a big help with the wedding and took to Carl right away.